Just not Chicken soup, I would think…..
That is one cute little chickadee..
Ooh, nice feeder. We have several which have taken the birds a while to figure out. The suet ball holder went unused all last winter-- I finally resorted to going out and chipping away suet that the birds would eat on the ground. This year we have a feeder supposedly designed for cardinals, who were our primary reason for any bird interest. 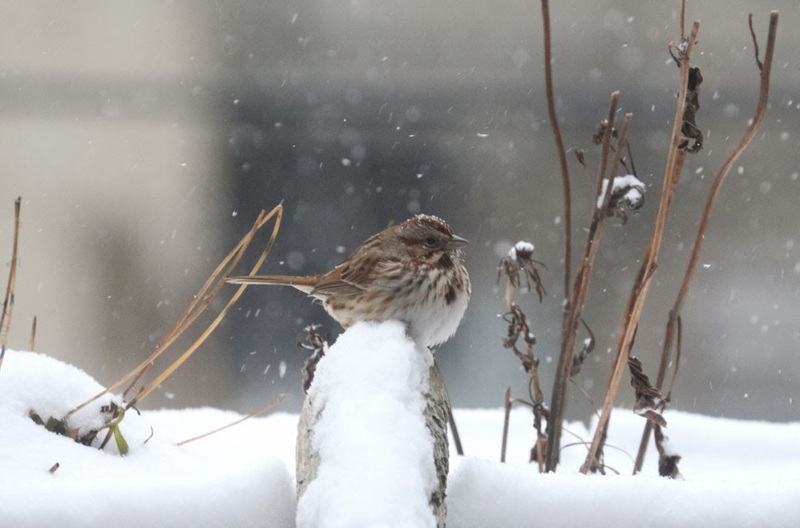 They don't use it but watch with interest other birds (sparrows and dark eyed juncos) feeding. Oh, cardinals the things we do and buy for you. All the feeders were the result of watching the feed spread on our deck being eaten by squirrels-- we and our dog hate this. The dog really, really hates them. Happily, the squirrels can't get into the supposed cardinal feeder and have provided a lot entertainment for us in their acrobatic efforts trying. 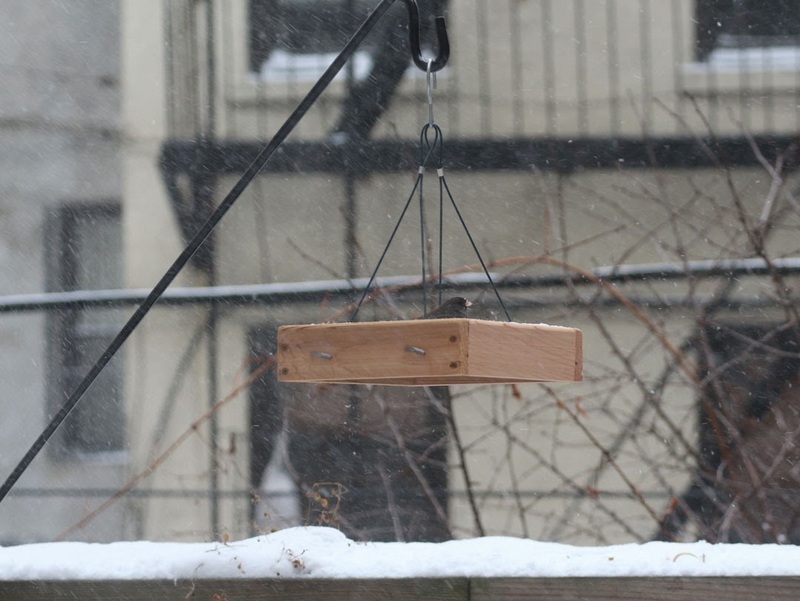 Your feeder looks like it might be cardinal friendly. The lady cardinal did visit today. 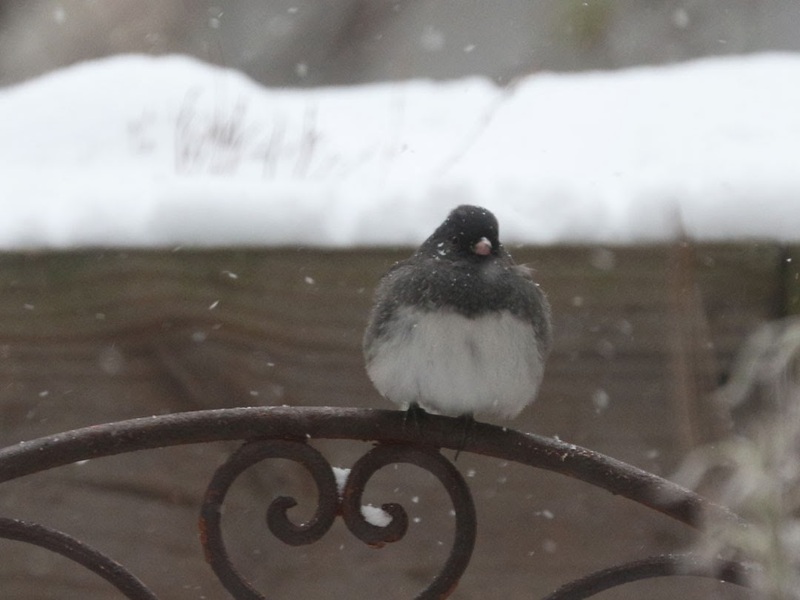 What great news that Juncos, Song Sparrows and a Lady Cardinal are frequenting your terrace 'cafe' ! 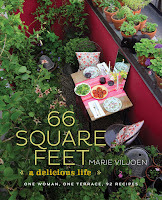 They may enjoy a drink of water served in the saucer from one of your planters. Such beautiful photos of the birds. Glad to have found you! Don't know about you but we got another 2-4 inches of the white stuff last night.